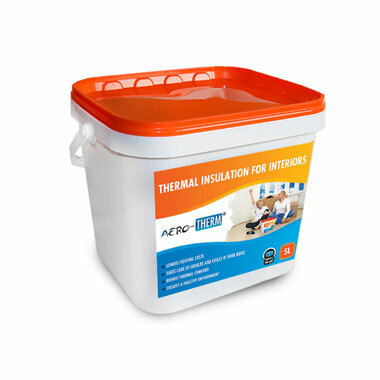 AERO-THERM® contributes to a creation and maintenance of thermal comfort. The reason why use thermo active coating is to influence radiant temperature of the area treated (ceilings,peripheral constructions) or limiting the amount of air moisture condensation mainly in corners and places where the surface temperature drops under the dew point. AERO-THERM® contains 3M glass microspheres, aerogel, binders and additives. The effective thermo active layer is only 1mm. AERO-THERM® thermo active coating is a water-dilutable putty, which can be applied to a surface of a wall, ceiling, or into the floor formation. Check the technical documentation of AERO-THERM® here. AERO-THERM® takes part in the New Green Savings program. Contains Aerogel, the best-known insulation. AeroTherm Innovative Wall Coatings is the national distributor of AeroTherm to North America. Contact us at 646-472-5026 or Email Us.